4k00:24Denver, Colorado, USA-February 11, 2017. POV point of view - Driving on the mountain highway on winter morning. 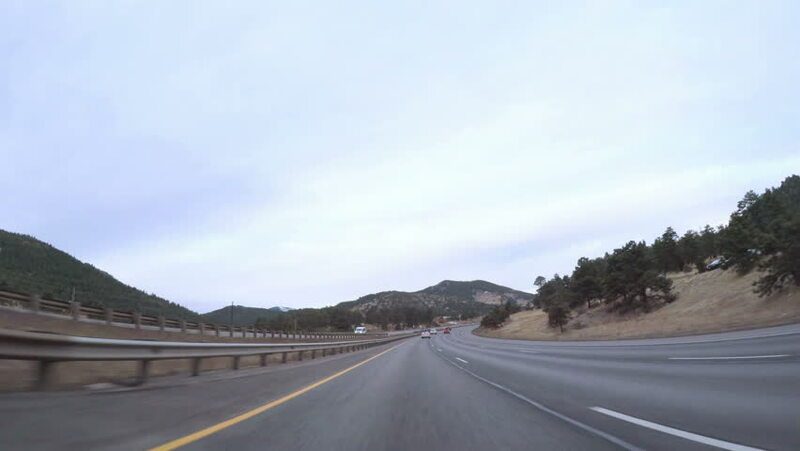 4k00:45Denver, Colorado, USA-February 3, 2018-POV-Driving on state highway 470 at sunrise. 4k00:15Driving on mountain highway 67 to Colorado Springs in Autumn. hd00:16POV point of view - Driving through the park with large red sandtone formations.